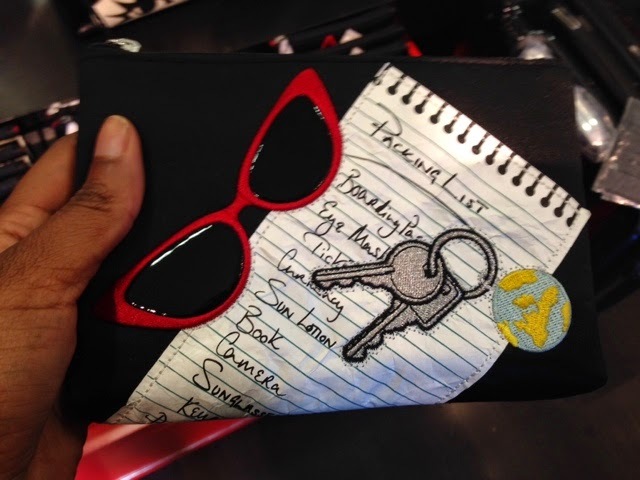 Ahhh...I must admit I do have a bit of a penchant for designer items and a few years ago I found out about Bicester Village - the outdoor designer outlet shopping haven and I always make it my mission to visit a couple of times a year. 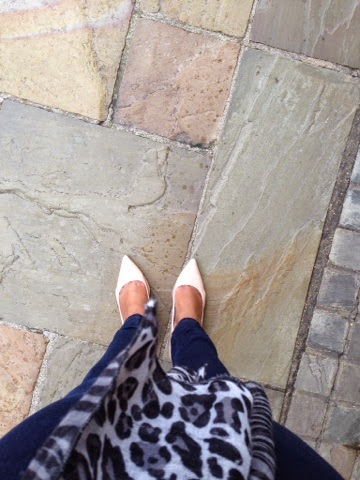 Last week I made the trip to Bicester in Oxfordshire with my sister for some much needed retail therapy. Now, it is a bit of a drive for us (about an hour and a half in each direction) so we set off early, had breakfast in our local cafe and then set out on our mini road-trip! It was busy as usual when we arrived. Even though it was a midweek day there was still a battle for a parking space. 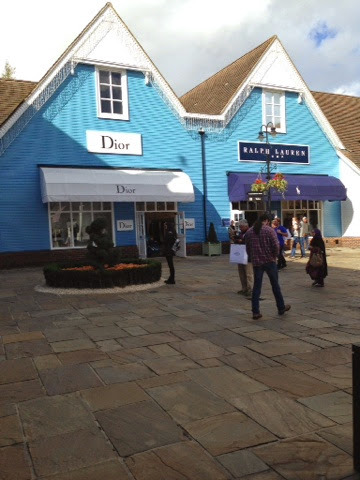 It's no surprise though, as Bicester Village has now become a tourist attraction with hundreds of people booking coach trips to this shopping destination (there was about four large tourist coaches parked waiting for tired bargain hunters to return when we got there!). 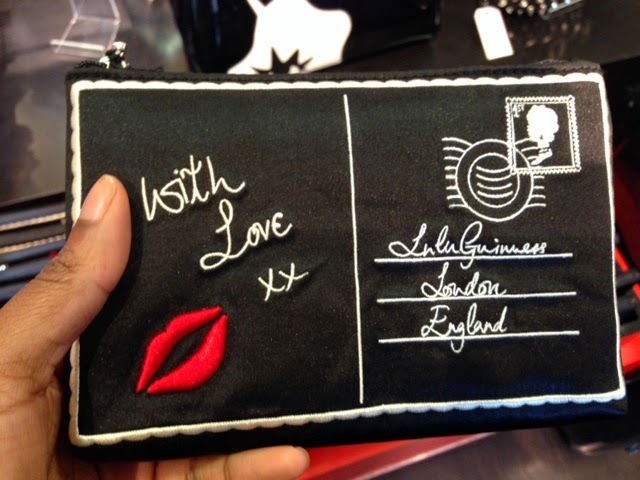 I headed to Lulu Guinness where I couldn't choose between these two fabulous zip pouches. I have had my eye on the postcard one for a while now (above) but then I spotted the travel list one (below) and I was spoilt for choice! Priced at about £38 this was approx about £16-17 off the original price. My sister headed to Ralph Lauren Kids where the discounts were really very good. Again, this store was heaving - everyone seems to be dressing their kids in Ralph these days!! All of the big brands are here, including: Prada, Jimmy Choo, Alexander McQueen, Burberry, Celine, Gucci, Mulberry etc. Michael Kors was very busy as their outlet store was full of the very popular 'Jet Set Tote' bags. It's worth the drive as depending on what you are buying some of the discounts are very good. In the past, I have purchased a few good bargains from here including a Gucci Purse for £115 - reduction of nearly £120, a couple of Luella bags and some amazing Ralph Lauren pony skin shoes. Some people say that the bargains here aren't that great anymore....I do personally think that you are more likely to buy something from the outlets at Bicester Village if you go there for a particular item that you've researched and had your eye on for a while. All of the items I've bought, I've set out to buy rather than bought on a whim whilst window shopping - although there are some great discounts, as they are designer items, the prices are still relatively high....I guess it depends how much of a shopaholic you are!! So, it was another successful shopping day in old Bicester Village - I probably won't return again now until the January Sales where there hopefully will be a few further discounts on items that I have my eye on....like the Prada Saffiano Tote bag......hmmmmm.....roll on the sales!! 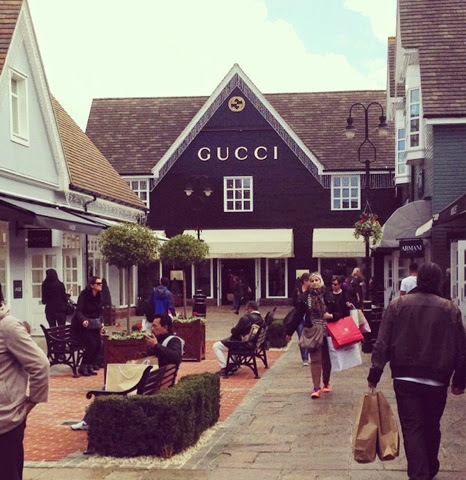 Have you been to Bicester Village?